This entry was posted in UK UK Dependent Visa and tagged Dependent visa for UK Migrate to UK uk dependent visa uk dependent visa processing time UK Dependent Visa requirements visit UK on February 2, 2015 by Blog Author. UK is every immigrants dream destination. This country offers a lot to people who wish to migrate here in terms of better career prospects and opportunities to study in its renowned colleges and universities. UK has a strong history of economic stability which is an attractive feature for many and allures individuals to this great nation. The clean and green surroundings and beautiful tourist places of interest are added benefits of this country. If you wish to migrate to this fabulous country along with your family dependents, you can do so by applying for a UK dependent visa. 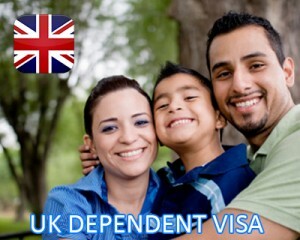 The UK dependent visa category enables dependents of a UK citizen or a permanent resident to join them in the country. You can also include your family members if you are studying at the post graduate level for 12 months in the UK or you have received full sponsorship by your native government for a study program which lasts longer than six months. This visa includes the spouse or partner and child below 18 years or children above 18 years who are currently in the UK as dependent family members. You should have enough funds to support yourself as well as your dependents during the stay in UK. Your dependents can stay in this country for a period of two years and six months, after which you can apply for an extension. Once your dependents apply for UK dependent visa and obtain it, there are no work restrictions on the dependency visa holders. UK dependent visa processing time usually depends on the country from which you are applying. If you are willing to apply this visa, fill out MoreVisas Enquiry Form.